Pickles present pairing problems. Potential partners prefer pasta, pizza, perhaps pretzels. Peter Piper picked a peck of pickled peppers, but where's the pairing tips for the peck of pickled peppers Peter Piper picked? I never found that tongue twister difficult, not like saying "toy boat" 10 times fast. But actually finding a wine to go with pickles, that's another story. Vinegar and hot spice are death to most wines; vinegar can make wines taste thin and acidic, which is why green salads are hard to pair with, and hot spice can make alcohol feel hotter. Many pickles also have sugar, which can make less-sweet wines taste sour. My friend and former colleague Jonathan Kauffman, now the San Francisco editor of Tasting Table, is making a variety of pickles at home, to his partner's occasional chagrin, as you'll understand if you know the smell of fermenting cabbage. I invited myself over for dinner to see if I could pair wines with his handiwork. * Turnips pickled with vinegar and salt; the most "pickley"
* Fuyu persimmons pickled with ginger and long pepper: Sweet and spicy. Choosing wines to bring to Jonathan's place was a multi-level challenge. I wanted things I would enjoy drinking, but also didn't want to take a great wine and waste it on an evening when we wouldn't appreciate it. Everything I brought, I thought might work. Here's what failed. A Sauvignon Blanc, even though I brought a floral Sauvignon Musque clone; the acidity of wine and pickles combined rather than contrasted. A very nice Moscato d'Asti, which I thought was a no-brainer, failed: the pickles took away its sweetness, making it seem fat and milky. I brought a friend's tasty homemade sparkling plum wine, made in Oakland from tiny yellow plums. That failed for the same reason as the Moscato. I'll be honest, I had this wine before in a mass-tasting format and thought, meh. But I never tried it the way Italians drink Prosecco: as an aperitif, with food. The Prosecco, dare I say, sparkled under these circumstances. It cleansed the palate, tasted lively, wasn't so serious that I worried about not fully appreciating it, yet I enjoyed every sip. This was the hit of the night, which is something considering that it was also the cheapest beverage on the table. When Jonathan served his main courses (cauliflower frittata with smoked cheese, and roasted butternut squash with tahini), I moved on from the Prosecco. But that's fine, that's what the Italians do. They know something about wine over there. I was worried about bringing a dry Riesling. A sweeter Riesling seemed a more obvious choice. But honestly, I didn't have one sitting around the house, and I had this. And we were just trying some stuff. Unlike with the Prosecco, I was also worried about spending a wine that I had planned to enjoy under more ideal circumstances. 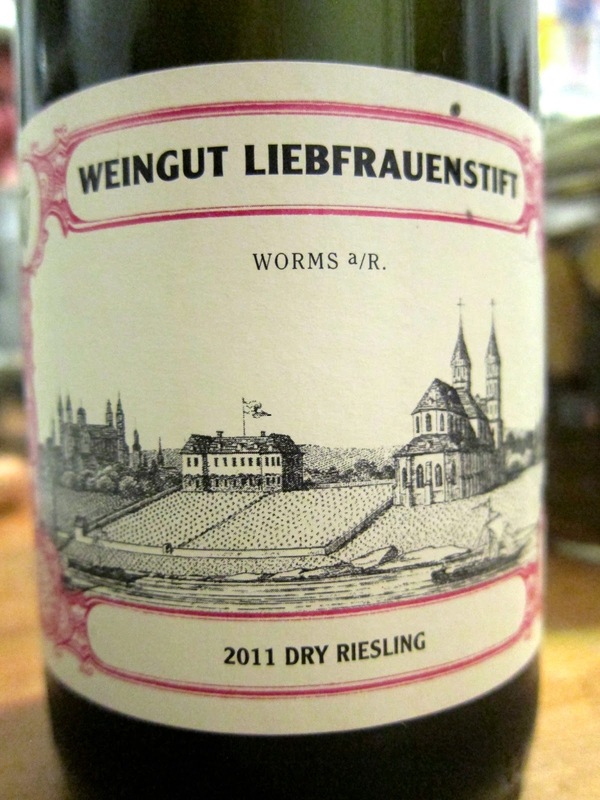 Weingut Liebfrauenstift is a 205-year-old estate winery inside the oddly named city of Worms. Ancient sandstone winery walls create a microclimate for the vines. And I love German dry Riesling; it goes with everything. See that last sentence? I had to test that theory. Well, it's true. 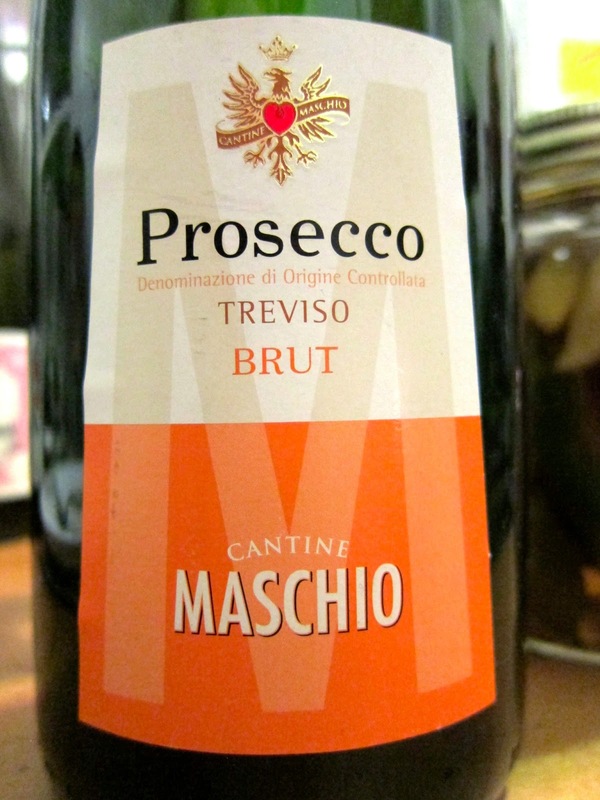 As with the Prosecco, I first tasted the wine on its own and thought, meh. Austere. The pickles brought it to life, bringing out minerality and lengthening the finish. My enjoyment of this wine rose continuously throughout the evening. Perhaps predictably, when we moved on from the pickles, I could easily have finished the whole bottle had I not brought everything else and ... well, OK, wanted to share. If you insist. This was my secret weapon. Sake is served with pickles all the time in Japan. 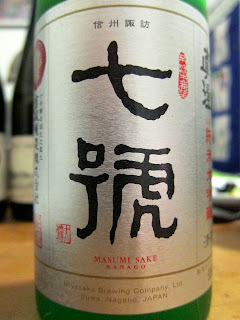 Good sake has a number of qualities that make it work: it tastes less acidic, can carry a little sweetness better than wine, and can have a rich, creamy mouthfeel that makes a nice contrast. I brought two sakes to Jonathan's, and we liked both, but this was more successful (and, unfortunately, more expensive.) Though it's made by the ancient, artisanal yamahai method, this is a particularly clean-tasting, wine-like sake, which is kind of ironic. It's fruity and refreshing, and was like having a cleansing bite of green apple after each taste of pickle. It was the most delightful beverage with the pickles, although the fact that it costs 5 times as much as the Prosecco can't be ignored. And it was elegant with the main course as well, staying in the background more than the Riesling, letting the food speak. So in sum, when pairing with pickles, provide Prosecco, Riesling and sake. That worked for me. Your move, Peter Piper. From my cellar I would pair it with the 2004 Jean Mâcle Côtes du Jura ($26).